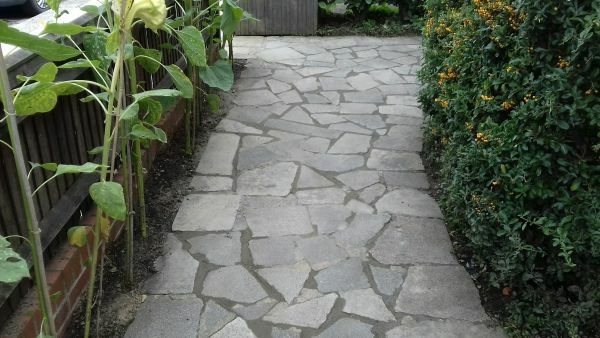 This area of crazy paving had lost a lot of concrete and was looking rather tired. Over a period of 2 days we pressure washed the slabs to bring them back to near new condition, and then filled in all gaps between the slabs. The end result returned the slabbed area to pristine condition. Abbey Property Care are a exterior Maintenance and renovation company specialising in pressure washing, paving repairs/renovations, roofing and guttering, our business is based in South London and working throughout London, Surrey and Kent. 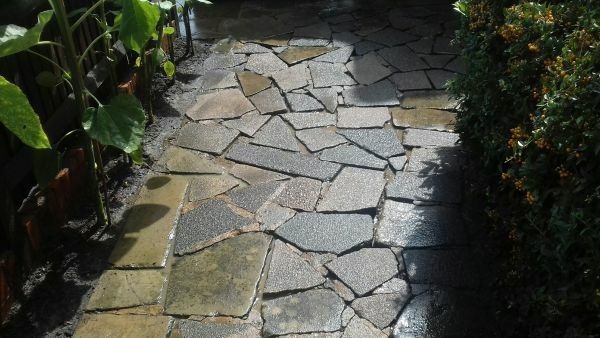 We have the tools and expert knowledge to clean and restore any exterior hard surface including block paving, crazy paving, concrete slabs, tarmac, decking, stonework and brickwork.